An automatic garage door can be a joy to own and operate, as long as they are functioning correctly. The moment they start to malfunction, the nightmares associated with repairing them can be frightening. Garage doors weigh around 200 pounds, once insulation and back supports are added to the structure. This can double when you consider different types of material like wood or metal type doors. Many doors also have glass windows that can break, and diminish the overall appeal of the garage door. This can have a negative effect on the overall look of your home, but luckily, you have a professional team of experts available 24 hours a day, to service any malfunctions you might experience with automatic garage doors. Why is my automatic garage door malfunctioning? • When your automatic garage door does not interact or respond or just will not open. 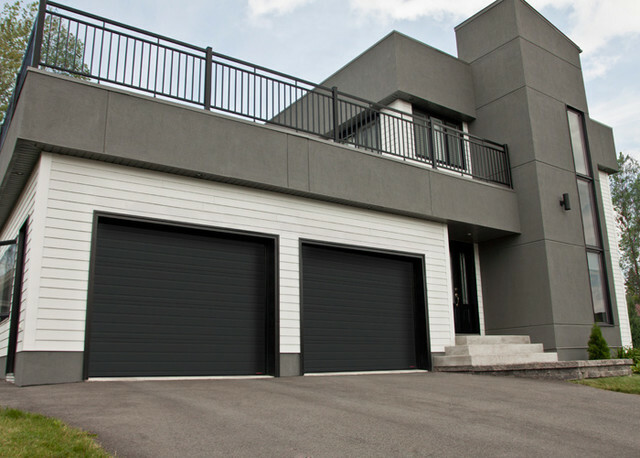 Lack of lubricant, foreign particles, obstructions, and low fluids, all create additional resistance or strain, on the normal flow of your automatic garage doors. This will cause additional strain and vibration, which will have a negative effect on the overall system. • There are many parts of your garage door, which hold the entire structure together. These supports are important and, even one broken piece can affect the standard operating function of your garage door. A service technician should confirm that all of your hinges and supports are in proper functioning order, to maintain correct operation of your garage for years to come. • The stress of the daily operation of your garage door is placed mainly on the supports and springs associated with the standard operating procedures of your garage door. 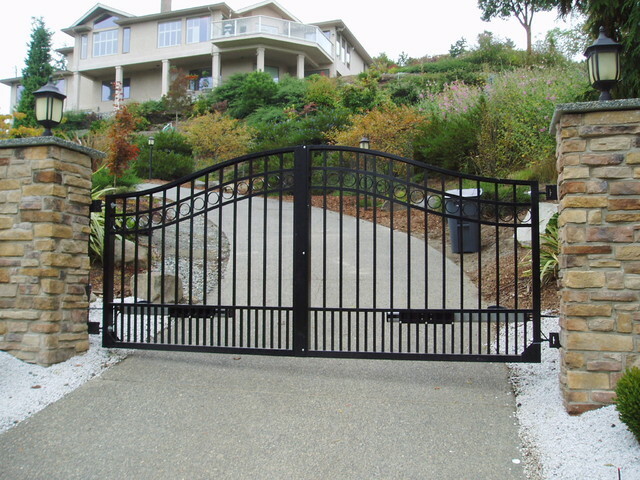 When too much stress is applied to the system, which can be due improper maintenance or the use of the gate after is starts to malfunction or make noise. Additional stress on the system effects, and stress and shock will be displaced onto other portions and areas of you garage door. This is the normal cause of a bust torsion and extension springs. • In a world with population rates growing exponentially, it is common for many families have children playing in the yard. Flying Frisbees, baseballs, and basketballs, can all cause a broken garage door window. Many garage door manufactures offer double pane windows, to provide better insulation for heating and cooling purposes. These types of widows can be expensive, to repair and replace. Purchasing hardware kits can make repairs affordable, and many come with all the replacement parts, you will need in order for your technician to complete the repairs. • This type of problem can be tricky as there are many potential reasons this could happen. A broken spring, hinge, unbalanced counter weights, or improper adjustment of height screws, can cause you door to work improperly. Any of these can issues cause one side to lean lower than the other side, or the garage door get wedged into place, when you try to open or close your garage door. If you notice a stress fracture, or hear additional noise caused by abnormal stressors to your garage door, it is advised you service your garage door immediately to prevent a system failure, which can be a lot more expensive to repair. • We have all experienced this one before, but sometimes it not just the batteries. You should check the batteries first, to confirm it is not an issue with coding. If that does not work, confirming the receiver on the operator is coded the same as the transmitter or remote control, is important. They will not be able to communicate with each other, if they are not set to the same code. San Juan Capistrano features two of orange counties most prestigious gated communities, The Hut Club and Marbella Estates, with property values ranging from $600,000 to over 2 million dollars, a broken garage door can lead to many unforeseen problems. HOA regulations are geared to making sure houses are well maintained, in order to keep the appeal of your neighborhood, and overall property values stable. 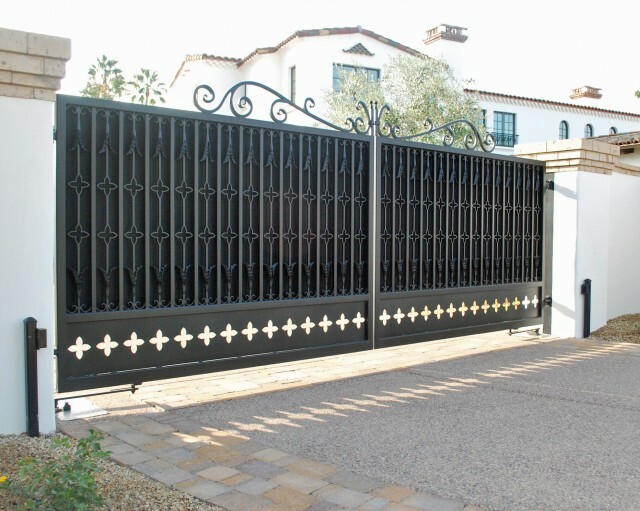 This means having a properly working automatic garage door for many gated communities. Technology is constantly advancing, and having antiquated technology can come with problems, you may no longer have to deal with. Keeping abreast of newer technologies can be quite tricky in this day and age, with many new advances happening daily. There are many reasons you should upgrade your garage door opener, the fact the curb appeal effects property value, we are talking large returns on investments under $5,000. Here is a list of additional reasons you should consider, contacting a professional technician. Why should I consider replacing my garage door opener? – Many older models produce a lot of noise during normal operation, and can be even louder, if they are not functioning correctly. This can cause major problem with neighbors and even lead to fines in some gated communities. Most new models have quieter operating functionality, and help create a more peaceful home environment. – Most new models come standard with, or have the ability to add additional features to your garage doors. This can be something as simple as a rolling code feature, which prevents thieves from using scanners, to copy garage door codes for use later on, when the owners are not currently present. – All models of automatic garage door openers come standard with keyless entry features that allow owners the ability, to get in and out of their property hassle free. This can be something as standard as a wireless transmitter, exterior keypad, or a keycard scanner that allow access to the property once the correct RFID is received. – Limit switches, electric eyes, auto reversing features, and impact sensors, with all help protect people and property, from accidental injury, and damage resulting from collisions. The limit switch automatically reverse the current operation of the garage door, to prevent injury resulting from the normal open and close cycles, of your overhead garage door. – There are also new ways to provide a source of power to you operators. With many models offering battery backup and solar power options, so you are never without enough juice enter or secure your property, whenever you are away from home. – Another benefit to a newer model garage door, in the fact that they are better suited to weather the elements, while maintaining the temperature of your home, by serving as one of the main insulators of your home. A properly operating garage door will prevent fold waters from entering your property through you garage and potentially damaging property. With so many important reasons to upgrade your garage door opener, this information should make your decision easy, when thinking about replacing your drive operator. With 37.3 million dollars slated to the Santa Ana River Mainstem Project, to assist with reclaiming degraded marshland, to assist with flood control for the counties of Orange, Riverside, and San Bernardino. Once the project is completed, it will add an additional 92 acres of flood plans, to help protect Orange County residence from flood damage. However, until the project is completed, it is advised that you make sure your home has adequate flood barriers, to avoid potential flood damage. There are many small problems, which can prevent your garage door, from operating properly. However, figuring out what is causing the malfunction could be complicated, with so many sensors, which could potentially affect the entire system from operating correctly. In order for your automatic garage door to work properly, all of the safety features must be operating correctly and free from contact or obstructions. Here are some common issues and potential fixes that can help you troubleshoot your garage door. Why won’t my door open or close properly? - If you are attempting to close your garage door and it will not close, you should attempt to close the garage door manually. If it responds to you manually closing the garage door, it is likely an issue with the wireless transmitter. If it still is not responsive, you might need to adjust the close limit switch, in order to get your garage door to close properly. It is most likely set on a sensitive setting, and the sensor is being tripped by something encountering the limit sensor, crossing the photo eye safety beam, and is likely preventing normal operation. Adjusting the sensor and/or clearing debris can restore your garage’s standard operating functionality. Why does my garage door open automatically after it closes? - When you try to close your garage door, and it comes down a portion of the way and then reverses automatically, you might need to adjust the close force in order to get your garage functioning correctly. 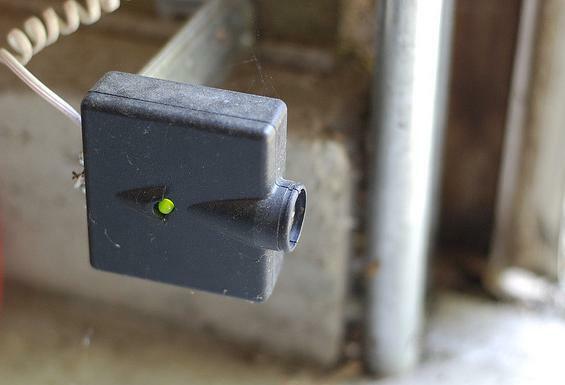 Your garage door is equipped with impact and resistance sensors, so figuring out which sensor are being effected is the first step. There could be something pressing against the door, causing additional resistance during the closing operation of your garage door. There could also be something coming in contact, with the sensor lining the bottom of your garage door. This can and should prevent your garage door from closing correctly. Why won’t my garage door open all the way? 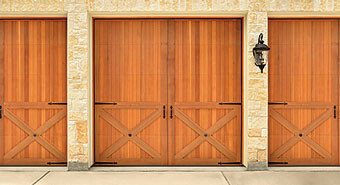 - If your garage door is working improperly, and no matter what you have tried, it just will not work. It could be that the location of your limit sensor need to me moved, possibly closer to the drive operator, in order to restore correct operational functionality. This should reduce the sensitivity and return your garage to operational status. Why won’t my garage door motor stop running? - This could be that the limit switch was place to close to the drive operator or motor, you will need to move the limit switch further from the motor, to get your garage door working correctly again. Why did my garage door remote stop working? - This one has a few additional things to check to restore functionality. It could be the batteries, and that is where I would start, when attempting to troubleshoot this common issue. If changing the battery does not resolve your issue, the next step is to check to make sure the drive operator (garage door motor), and are coded to the same setting. If these numbering sequences do not match, you will need to set it to match one another, in order to get them to operate correctly again. Narrowing down what is causing a problem can be a little confusing, but hopefully with some of the tips we have provided in this section, will help homeowners make an informed decisions. Whether they believe they will need a professional technician, to assist with troubleshooting these common issues, or if they believe they have the skills to DIY the problem themselves. With the median value of households reaching 630,200 in the city of Costa Mesa alone, and Zillow predicts that home values will rise to 6.6% this year alone, it is important that you have proper home security, and control public access to you family, home, and personal property. Having a functioning garage door is paramount to your home security and protection. The real estate market will not return to normal levels for many years to come. Nevertheless, there are many things homeowner’s can do, to increase the value of their homes. For three years and counting, upgrading to an overhead automatic garage door has been statistically shown, to be one of the most effective ways to increase your properties overall value. The annual Cost vs Value survey shows, out of all the various renovation projects homeowners can choose, 8 out of 10 projects had a direct correlation to curb appeal. In addition, many of the families that have on the go life styles use their garage door as the primary entrance and exit to a home. Driving into an aesthetically pleasing home, can have a very calming and relaxing felling. Many home entrances were design to give an inviting feeling as a stress reliever to hoe owner and guests, but with the garage door acting as the primary entrance to the home it is important to take this knowledge and apply it to you ever-changing lifestyle as to benefit the body and mind. 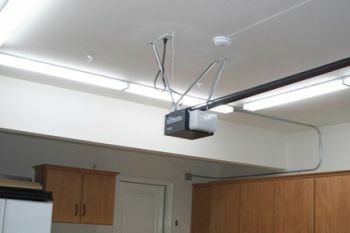 The findings were actually quite impressive; it showed that two of the tree top remodeling project had to do with overhead automatic garage doors. 2012-2013 survey showed that there was a 75.2% return on investment, for remodeling project to increase the value of your home for under $5,000 dollars. With many homes designed with the garage doors, being one of the major focal points, a person sees as they approach a property. It is easy to see where the survey came up with these findings. A newly installed garage door can really make a statement depending on the model chosen. Nevertheless, homeowners that choose to invest in either an entry level or mid-grade had a 75.7% increase in ROI, and high-end garage door had an increase of 75.2 % ROI. This is the 26th year the Cost vs Value report was conducted, and was performed in partnership with the National Association of Realtors. It main goal is to inform homeowner to make the most informed decision so they can adequately make the correct decision to affect their home s for the future. 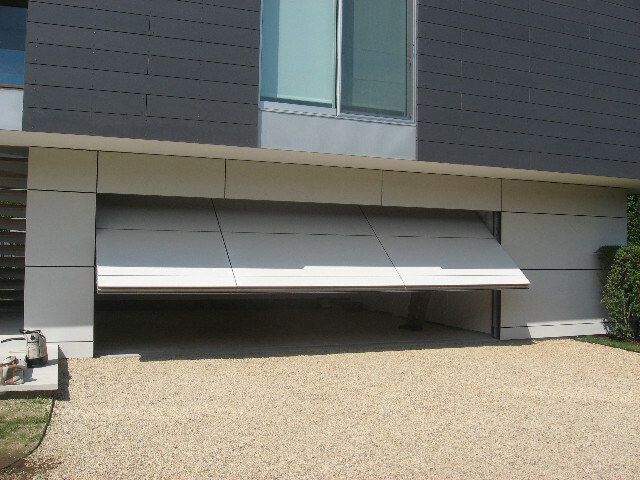 There are many small issues that can arise, in the day-to-day use of your, automatic garage door. There are many instances when calling a professional to service or repair, your drive operator or garage door motor is essential. There can be many different issues associated with attempting repairs on your own such as: unforeseen dangers, gunky mess, and additional costly damage. As the old saying goes “Do what you do best, and contract out the rest.” Although, other times it is possible to troubleshoot the problem on your own. Therefore, here are some common troubleshooting tips that can help save you time and money. - A noisy garage door can be loud and obnoxious; it might seem bad, although sometimes it is an easy fix. It could be something small as adding lubricant to parts that have not been serviced in a while. It could be the drive motor is low on fluids, or there could be a component out of alignment, causing additional rub abnormal places. - Your garage door can become stuck for many reason; adverse weather conditions can wreak nightmares or the unsuspecting homeowners. A quick change in temperature could freeze the moisture present on the door, and you could see yourself stuck in or out of your property. Other times there is other problem that can happen with your drive operator such as but not limited to: Broken coils, stripped gears, burned out motor, and or unbalanced doors. If it is cold outside, you could use a heat gun or hair dryer to attempt to melt the ice and break the connection between the garage door and the framing. You can also use any de-icing products to help facility the opening of your garage door as well. Once open make sure you clear away and ice or water to prevent this from happen the next time you attempt to enter you exit your property. - A broken widow can be a real problem for a homeowner. A broken window can lead to additional unforeseen issue regarding your garage door. Un-cleared broken glass can come loose and cause additional damage or injury, an opening in your home can provide access to rodents, birds, and insects. Whatever you reasoning, a broken window should be replaced right away to restore peace of mind to your home. - Your garage door comes with features such as a limit switches, electric eyes, auto reversing features, and impact sensors. It is a sensor job to judge what sort of impacts is standard, and which are out of the ordinary. If the sensor is set to the correct setting then you should have no issues with the correct operating procedure of your garage door. Nevertheless, nothing is perfect in life, so do not expect your garage door to be either. However, making some minor adjustments to the sensor settings could restore functionality. Clearing away debris from the line of sight of the electric eye and impact sensors will also ensure that the root cause is not a safety sensor causing the overall problem. - If you own a garage door, then it is likely you have been here before. You pull up to your garage door, hit the button, and nothing happens. Now you have to exit your vehicle, go inside manually open your garage door, and then pull your vehicle into the garage. Nevertheless, that only solved getting your vehicle into or out of the garage. A broken remote control can cause so much anguish for a homeowner, but thankfully, there are many quick fixes for this problem as well. Changing the batteries is always the first place to start; if that fixes the problem, you are done. If you continue to experience problems with your remote, it could be coded incorrectly, and simply need to be switched back to the correct code to operate. Beyond that we recommend you call a professional technician. 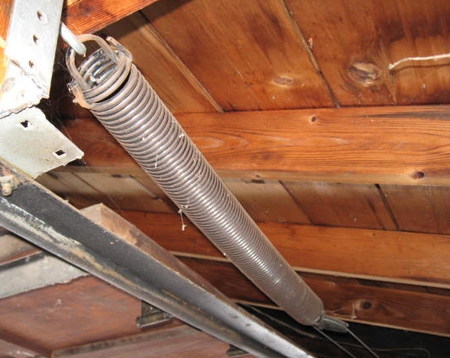 - The torsion and extension springs are made to be durable and take the day-to-day stress associated with opening and closing your garage doors. Lack of maintenance, over use, and obstructions, can all cause additional stain on the door and cause these components to fail. Why should I replace my automatic garage door? - There are many reasons a homeowner might want to consider just replacing their old garage door entirely. New safety features, lasting durability, costly repairs, are all great reason for you to consider replacing you automatic garage door. You might just want something that improves the curb appeal of your home, and potentially increase the property value at the same time. Huntington Beach, California reported a population of 189,992 according to the 2010 Census. This made it the largest beach city in Orange County, in terms of population density. There were also 74,285 households within the city at the time of the 2010 census report. Make your home stand out with amazing curb appeal, by providing your home with a functioning and aesthetically pleasing automatic garage door. These quick fixes can help homeowners, but it is always advised you hire a professional to help assist you with your repairs, remodeling, and installations. Hiring the correct garage door repairperson, and can be an enormous task, when you are looking to improve the value of your home. Any mistakes made on a focal point of your home, can have drastic effects on the value, and curb appeal of your home. Hiring a professional for your garage door repair or installation or repair, is paramount in getting the most ROI, from your home improvement project. Hiring a professional can be hard when selecting from a list of supposed professional. Here are some tips to help to choose the right person for you, and thing to look out for when selecting a technician to provide garage door repair. 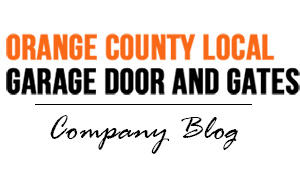 What makes a professional garage door repair technician? What should he bring to service appointment? - Depending on the service that will be provided, it is important the technician come with product magazines & price lists, to show different options and the various prices, of the different selections he has to offer and brands that he carries. Knowledgeable Technicians makes all the difference! 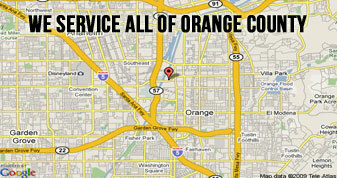 - A knowledgeable technician can save you lots of time and money, when choosing to repair or replace your garage doors. He should know what he has available in stock, as not to offer solution he currently doesn’t have and make the owner have to pick different option, because of lack of inventory. He should also know what he should carry in stock, in order to prevent his clients having to wait for part to be shipped, in order to complete repairs to your property. - A repair technician should have all the tools needed to get the job done right the first time. Many unprofessional technician will try to Mickey Mouse the job, or repair something that should be replaced, in order to make their job easier. This can only prolong the headaches usually associated with garage door repair. - Many things that can go wrong with a garage door, a knowledgeable technician, should be able to get to the root of the problem right away. This is usually due to experience, and that fact that they have provided similar repairs in the past. A technician that is unsure of his skillsets, or attempting to make unnecessary and costlier repairs, can quickly become expensive for unknowing homeowners. - Up selling is a standard process of business, and valuable recommendations should come from your technician to help you decide, what upgrades can and should be provided. Nevertheless, at the end of the day, the decision in the end lies with the homeowner. Once the homeowner has made up their mind, it is important your repair know when to leave something alone. He should not attempt to pressure the homeowner into costlier repairs, which might not be necessary, or that can break the budget of the overall project. It is normal for a technician to share his or her knowledge with their customer base. Sharing information and forcing a subject are to different things, and a professional technician, will know the difference between the two. If you are having problems and need of service, maintenance, or installation of a garage door, you should consider contacting a professional garage door technician today. Irvine has a median home value of $749,200, in order to make sure you improve or maintain the investment, you made in your property. Ensuring that you have had proper repairs or installation, can make all the difference, when it comes time to sell or refinance your home.